Honda (UK) and the Scottish region of the National Sheep Association (NSA), a grassroots organisation that works in the interest of sheep farmers, are celebrating the start of a new partnership. Honda will be supporting the association and its work by donating the popular TRX 420FM1 all-terrain vehicle as a raffle prize. Starting now and continuing until the end of the Royal Highland Show 2019, NSA Scottish Region and participating NSA-affiliated sheep breed societies will be selling raffle tickets at events and activities across Scotland to raise valuable funds. The winning ticket will be drawn at 4pm on Sunday 23rd June in the NSA Scottish Region marquee at the Royal Highland Show, with the winner notified shortly afterwards. John Fyall, NSA Scottish Region Chairman, adds: “We are very grateful to Honda for agreeing to donate this ATV to the winner of the raffle and look forward to this very exciting partnership with them. NSA has much work to do in Scotland, with the Government and other partners within the industry, and proceeds from this raffle will help us achieve this. Honda is known for manufacturing hard working and reliable ATVs and utility vehicles, and is very apt. For full information about the raffle, including terms and conditions, go to www.nsascotland.org/raffle , or contact NSA Scottish Region. Follow @HondaUKPower on Facebook, Twitter and Instagram to keep up-to-date with all the latest news on Honda’s power products or visit www.honda.co.uk/atv for further information on Honda’s industry-leading range of ATV and side-by-side utility vehicles. NSA Scottish Region is part of the National Sheep Association, an organisation that represents the views and interests of sheep producers throughout the UK. It is funded by its membership of sheep farmers and its activities involve it in every aspect of the sheep industry. More at www.nationalsheep.org.uk and www.nsascotland.org. For more information, contact Euan Emslie, NSA Scottish Region Secretariat and Events Organiser, on 07718 908523 or [email protected]. Honda created the original all-terrain vehicle back in the 1970s and today is the world’s leading ATV manufacturer. 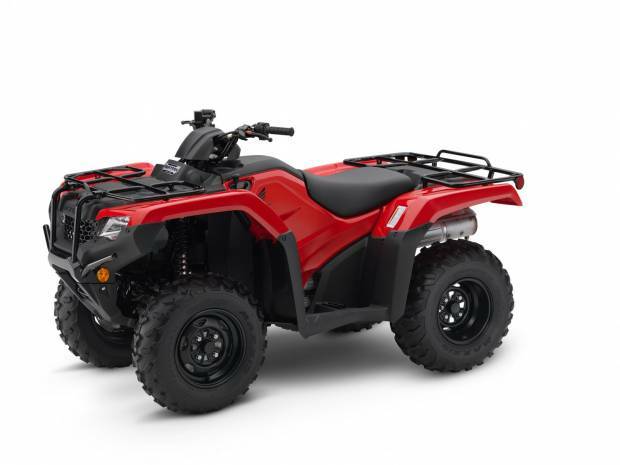 Offering the market’s most comprehensive and diverse range of ATVS, including two-wheel and four-wheel drive options, the Honda ATV range provides a variety of transmission types, plus a huge choice of engine sizes ranging from 86cc to 675cc. For more information, contact Ellie Ostinelli, Honda (UK) Power Product PR Communications Manager, on 07872 103205 or [email protected].